For those of you who have been scouring the internet lately for something regarding modifying your Xbox One console, scour no more. Earlier today a team that goes by the name notHALT contacted us, giving Se7enSins the heads up on what they had in store. At first I was skeptical whether or not the claims made were legitimate, but we've come to see that they are. They later notified us that they had uploaded the Xbox One SDK (Software Development Kit) for everyone to have (SDK Documentation as made available later during the day). You may be wondering what's so important regarding the SDK being leaked, it's not something that everyone is actually going to use, that's for sure. However, software enthusiasts will definitely find this interesting. For those of you familiar with Xbox 360 software modifications, you're aware that majority of those software modifications need the Xbox 360 Software Development Kit to work. The same would generally apply for future Xbox One software modifications. With the leak of this SDK, those who do not have access to the Xbox ID program or an Xbox One Devkit will be able to venture into the different aspects of the engine running the Next Gen console. Once the SDK is out, people who have knowledge or has in the past reversed files related to the Windows (8) operating system should definitely have a go at reversing some files in there. Why? Well, the Xbox One is practically a stripped Windows 8 device and has introduced a new package format that hasn't had much attention. 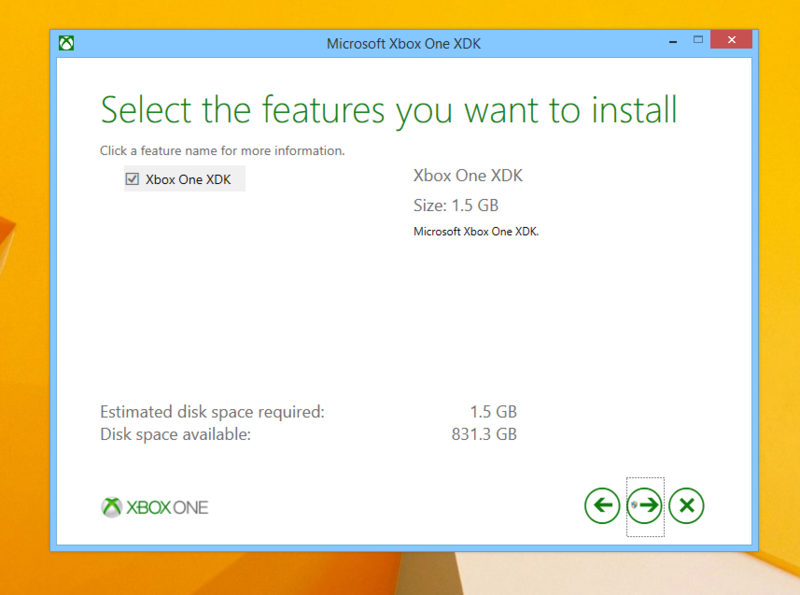 This format is responsible for updating the console and storing applications (Games are under the category of 'Applications' on the Xbox One) and is a modification of Virtual Hard Disks. There is no definite 'exploit' but from what we have studied and tested, this simple packaging format could possibly lead us to creating Homebrew applications for the Xbox One. Hopefully this leak will actually help further the development of different things for the Xbox One console. Such as Homebrew for the console, or even an exploit for complete control over the device. Only time and effort will tell what can possibly be done. Before we finish off, there a few minor details regarding the actual SDK that we'd like to include: The SDK works in tandem with Microsoft Visual Studio 2012 and only works on 64 Bit computers. How many of you guys out there are a bit excited to think that something might come out of this? How many of you think that we're still a long way from getting some sort of modification on the Xbox One console? Let us know in the comments! If you'd like to get a hold of the SDK and/or the Documentation yourself, it is available on their twitter account. Remember guys, you read it here on Se7enSins first! We contacted Se7enSins first because they responded in a much more convenient and sharp way. notHALT has posted information regarding XVD's HERE. Chr0m3 x MoDz has posted information regarding the SDK and XVD's HERE. We had the chance to interview Chr0m3 x MoDz for his thoughts about the recent leak. You can read the entire thing HERE. More information information/progress with XVD files has been posted by noob25x HERE.